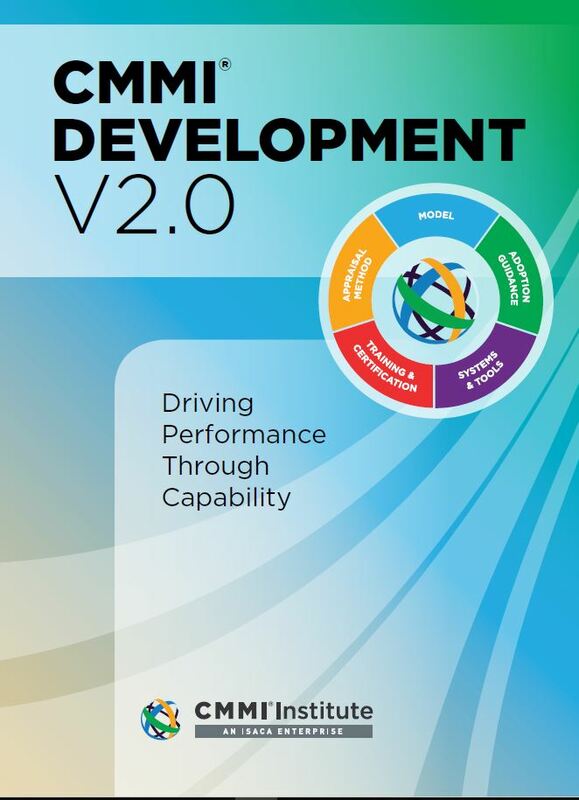 CMMI 2.0 Brings Big Changes – AEGIS.net, Inc. The CMMI Institute’s annual conference, Capability Counts, was held this year on May 1-2 in Reston, VA. The major news that I anticipated was the formal rolling out of CMMI 2.0. The new version of the model – the first major release since the original version 1.1 debuted in 2002 – is also the first since the CMMI Institute was acquired by ISACA two years ago. To be sure, the change represented by version 2.0 is in order. CMMI has been bruised in recent years by attacks claiming that it doesn’t work with modern agile development and DevOps practices (it does) and a de-emphasis by the US federal government in requiring CMMI maturity level ratings in acquisitions for IT services. The Day 2 keynote from James Thompson, Director of Major Program Support for the Dept. of Defense underscored part of the problem. He showed a graphic depicting 2/3 of software-related programs at DoD in a yellow or red status despite all the contractors claiming at least CMMI Maturity Level 3, and more than half of them appraised ML 5. While noting that many factors can drive a program to a less-than-green status, it’s nevertheless troublesome that organizations claiming process maturity under the CMMI are having so many problems. He called for a way for procurement officials to differentiate organizations even within a CMMI rating. CMMI 2.0 offers some relief in that regard by allowing for granular levels of maturity in particular Practice Areas. What else does version 2.0 offer? Learning about CMMI 2.0 seemed to be what most of the other attendees – reportedly 400+ people from 29 countries – expected, as did I. Surprisingly, there was no keynote presentation to give an overview of the new model, which forced the curious into the breakout sessions. Those sessions devoted to CMMI 2.0 on the first day were beyond standing-room-only, meaning many folks had to turn to other sources to learn about 2.0. As of the week after the conference the CMMI Institute web site still doesn’t have much detail on CMMI 2.0, and some of what is there is already dated. E.g., a FAQ for “When will CMMI 2.0 be released?” states it “will be” released starting March 2018, two months ago as of this writing. I don’t point this out to be nit-picky, but to observe that from a marketing and messaging perspective, the Institute could be doing a better job of communicating such a fundamental change to their flagship offering. Adding to that challenge, many people objected to the mechanism for distributing the new model – a slick, online portal dubbed the Model Viewer which requires a $400 per person per year license fee. Representatives from the Institute commented in several sessions that they are looking into offering an enterprise license and better options for offline viewing based on customer feedback to date. It’s shorter. The documentation of the model has been reduced by about 2/3. It’s easier to understand. The reading level of the model documentation has been reduced from grade 14.9 to grade 12.2. Much of that simplification was achieved through reducing the use of passive voice. It’s more relevant. Version 2.0 pulls in elements of People CMM to acknowledge the importance of people’s role in process. It’s more adaptable. It includes specific direction for methodologies like agile and DevOps and maintains “hooks” for other methodologies, including ones not yet even imagined. My bottom line observation is that 2.0 holds a lot of promise – even as the CMMI Institute is putting into practice its own methods for continuous improvement and roughs out the edges of the roll out. I look forward to seeing them strengthen the case for the value of CMMI in general, and this new version in particular for aiding organizations in improving capabilities, practices, and business processes.